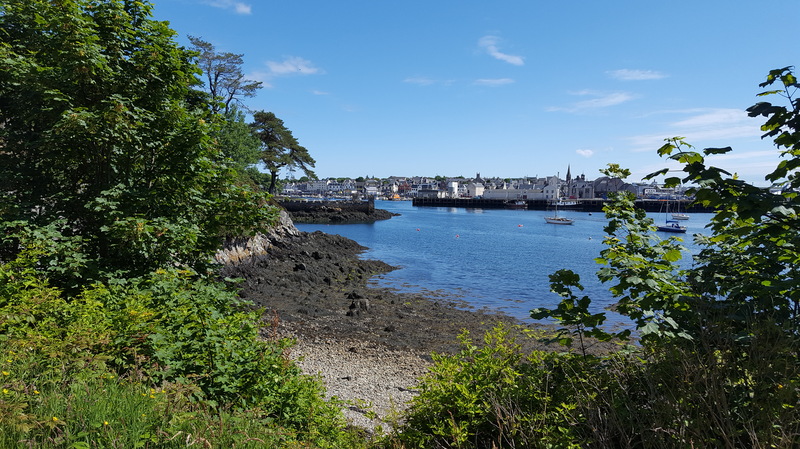 Stornoway is on the Isle of Lewis, Outer Hebrides of Scotland. 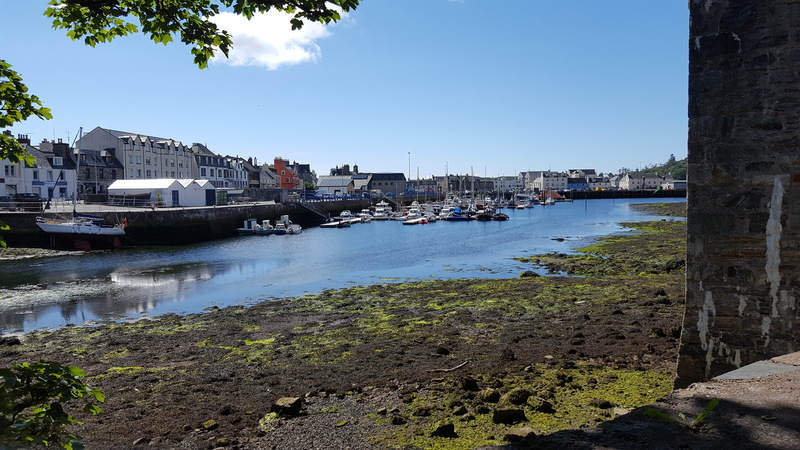 This area has a traditional mix of businesses such as fishing, Harris Tweed and farming and a population of around 6,000 and this is about a third of the island’s population. Not a huge amount at Stornoway but it is pretty in parts. 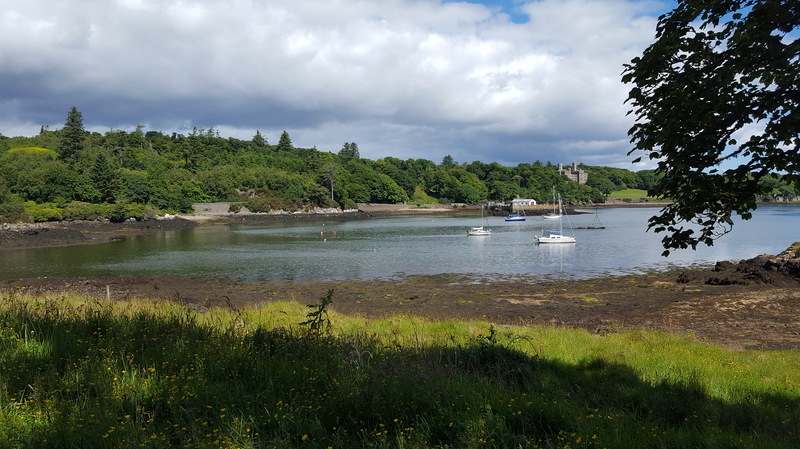 It has a reasonable sized town with a library (usefully with free WiFi), a castle, harbour, a pretty park and another circular walk “I am NOT going to walk miles again.” However, we were only there for a day so probably a little unfair to judge. The walk to Lews Castle turned out to be pleasant enough and not too exacting, unlike yesterday’s never ending walk. One good factor was the weather. Honestly, it was like being on the Mediterranean. Plus the people are friendly and shockingly, I could even understand their Scottish tongue. Apart from the two chaps, in the library who were speaking Gallic. Show offs!! 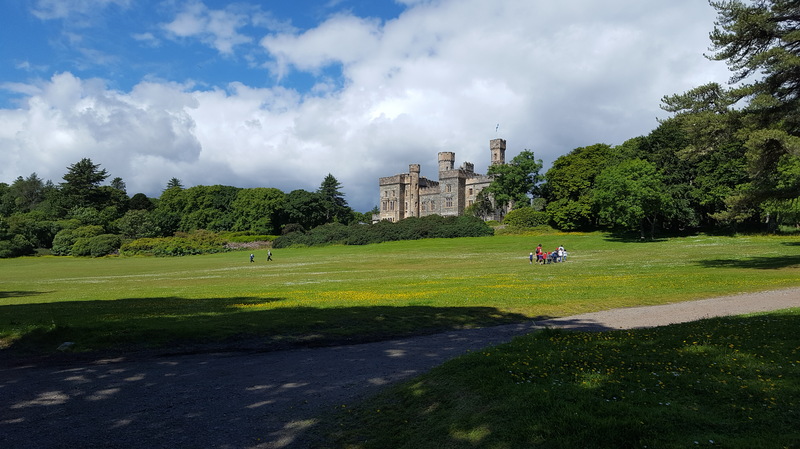 As we examined the impressive Lews Castle we decided to carry on walking the circular walk which was lovely, but soon realised that we hadn’t a clue how long the walk was. Helpfully, the map didn’t give this vital piece of information. I even asked a couple, also walking along, if they knew, but they hadn’t a clue either. So after a mile or so, we gave up and strolled back. Had to be back in a few hours so decided not to keep 800 people waiting for us and strolled to the town area for a much needed cuppa. We went into a public house and a bored bar lady informed me that they didn’t do coffee or tea so I stupidly settled for a coke which was warm, flat but I gratefully drank it because I was thirsty. The pub was, incidentally, one of the most depressing places I’ve ever been in so we left the, what I can only assume, the few permanent fixtures (customers) and headed back to the town. We didn’t stay long, but used the free wifi in the library and then caught the tender back to the ship for dinner, etc. I left Scotland feeling that I would like to explore the country properly as it is truly beautiful. Also, it means I can complete the splendid walk, mentioned above. Next stop, Tórshavn, Faroe Islands.